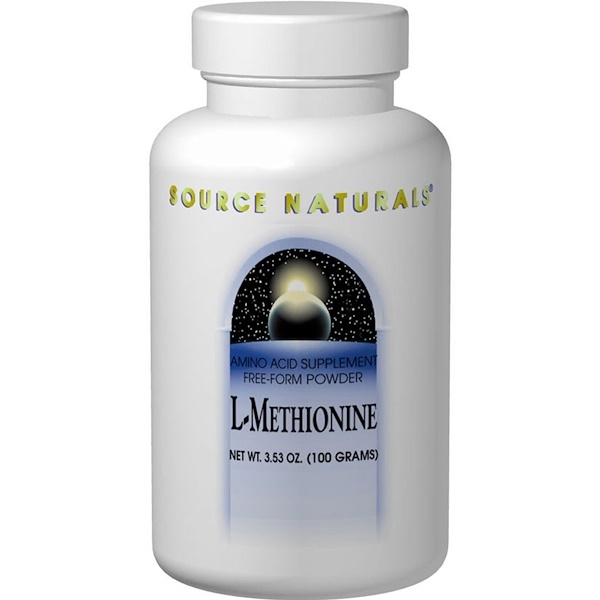 L-Methionine is an essential sulfur-containing, free-form amino acid. It contributes to the synthesis of S-adenosyl-L-methionine (SAMe), which is necessary for normal brain function, and L-cysteine, which is a component of glutathione, an important antioxidant molecule in the body. L-Methionine is also a transporter of the antioxidant mineral, selenium. 1/4 to 1/2 teaspoon daily between meals. If you experience stomach irritation, take with meals. Hypoallergenic: Contains no yeast, dairy, egg, gluten, corn, soy or wheat. Contains no sugar, starch, preservatives, or artificial color, flavor or fragrance.